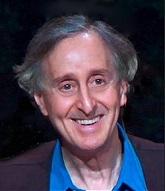 Talks given by Donald Rothberg at Marin Sangha are available here. Oren J. Sofer is a principal teacher at Marin Sangha. He has been a practitioner and student of Theravada Buddhism since 1997, and holds a degree in Comparative Religion from Columbia University. He began studying Dharma in Bodh Gaya, India with Acarya Anagarika Munindra and Godwin Samararatne, and has since studied extensively with Joseph Goldstein, Michele McDonald, and Venerable Ajahn Sucitto. He holds a degree in Comparative Religion from Columbia University, is a Somatic Experiencing Practitioner for healing trauma and a graduate of the IMS-Spirit Rock Teacher Training Program. His work and teaching brings a strong emphasis to living the path of awakening in our daily lives. www.orenjaysofer.com. Talks given by Oren J. Sofer at Marin Sangha are available here. 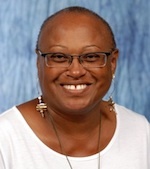 Noliwe Alexander has been a student of Vipassana meditation for over 15 years. Throughout this time of deep devotion to the Dharma, Noliwe has become a dedicated practitioner, teacher of various sitting groups around the Bay Area, facilitator of community workshops and Buddhist meditation day longs and class series programs. She is a Life & Business Coach dedicating both her coaching & Dharma practice to the POC, LGBT, At Risk and Elder communities. She is a graduate of Spirit Rock's CDL4 program and completed EBMC's Commit 2 Dharma program in 2010. Talks given by Noliwe Alexander at Marin Sangha are available here. Ayya Anandabodhi has practiced meditation since 1989 and lived in Amaravati and Chithurst monasteries in the UK from 1992 until 2009, training with the Community of Siladhara under the guidance of Ajahn Sumedho and Ajahn Sucitto. In 2009, she moved to the US on invitation of the Saranaloka Foundation to help establish Aloka Vihara, a Theravada Buddhist monastic residence for women. 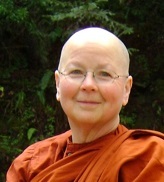 In 2011, she took leave of the Ajahn Chah lineage in order to take full bhikkhuni ordination with Ayya Tathaaloka Theri as preceptor. Ayya Anandabodhi currently resides at Aloka Vihara in San Francisco and offers teachings at the Vihara, as well as in the wider Bay Area and occasionally in other parts of the US. Sally Armstrong began practicing vipassana meditation in India in 1981. She spent five years in England, where she managed a retreat center and was a founding member of the Sharpham meditation community. 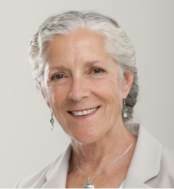 When she moved to California in 1988, she continued her dharma service at Spirit Rock Meditation Center in a number of roles, including executive director. 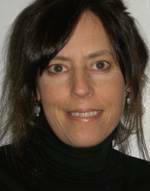 Sally began teaching in 1996, and is one of the guiding teachers of Spirit Rock's Dedicated Practitioner Program. Talks given by Sally Armstrong at Marin Sangha are available here. Talks given by Adam Asare at Marin Sangha are available here. Matthew Brensilver, PhD, began practice in the Tibetan tradition and since 2003 has studied with Shinzen Young. He served as a Buddhist chaplain at USC for four years and teaches about the intersection of mindfulness and psychotherapy at UCLA's Mindful Awareness Research Center. He has been involved with Spirit Rock Teen Retreats since 2008. Talks given by Matthew Brensilver at Marin Sangha are available here. Edward Espe Brown is a Zen priest and author of The Tassajara Bread Book and Tomato Blessings, Radish Teachings. Also a student of Vipassana, yoga, cranio-sacral therapy, handwriting analysis, and chi gung, as well as a lover of poetry, his teaching style weaves together his multiplicity of interests. Talks given by Edward Espe Brown at Marin Sangha are available here. Gary Buck, PhD, has been a mindfulness practitioner for over 40 years in the Theravadan and Vajrayana traditions, including three years as a monk in Thailand. He is a Reiki Master in the Buddhist subtle energy healing lineage of Reiki Jin Kei Do and is also trained to teach Yoga Nidra/iRest. He holds a PhD in Psychology from Meridian University and a BA in Religion from Princeton University. He is currently a post-doc intern at the Child Therapy Institute in San Rafael and Petaluma where he works with both child and adult clients. 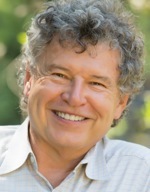 In the mid 70s Gary served as Managing Director of the Insight Meditation Society and was the Associate Director at Spirit Rock Meditation Center from 1997 to 2004. His special interests are the Buddha's teaching on Dependent Origination, subtle energy practices, the role of imagery in Buddhist practice, and the interface between Buddhist practice and psychotherapy. His expertise in secular forms of mindfulness includes training in Mindfulness-Based Stress Reduction and Mindfulness-Based Cognitive Therapy as well as teaching mindfulness to elementary school classes through Mindful Schools. He utilizes mindfulness-based cognitive approaches in his psychotherapeutic work with both child and adult clients, along with Sand Play, expressive art, and play therapies. Dr. Buck also works individually with adults interested in deepening their meditation experience and exploring the interface between psychology/psychotherapy and their spiritual practices. His website can be found at www.garybuck.net. Talks given by Gary Buck at Marin Sangha are available here. 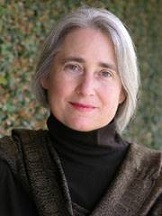 Shaila Catherine is the founder of Bodhi Courses, an online Dhamma classroom, and Insight Meditation South Bay, a Buddhist meditation center in California's Silicon Valley. She has been practicing meditation since 1980, accumulating more than eight years of silent retreat experience, and has taught internationally since 1996. Shaila studied with masters in India, Thailand, and Nepal, and also with the founders of western meditation centers. She completed a one-year intensive meditation retreat with the focus on concentration and jhana, and authored Focused and Fearless: A Meditator's Guide to States of Deep Joy, Calm, and Clarity. Shaila practiced intensively under the direction of Venerable Pa-Auk Sayadaw from 2006-2014, absorbing a precise and rigorous approach to samadhi and vipassana that continues to inform her teaching. She authored Wisdom Wide and Deep: A Practical Handbook for Mastering Jhana and Vipassana to help make this traditional training in samadhi and vipassana accessible to western practitioners. Talks given by Shaila Catherine at Marin Sangha are available here. Talks given by Mark Coleman at Marin Sangha are available here. Bill Coffin has been meditating since 1987. He has attended dozens of silent retreats and studied in Spirit Rock's Dedicated Practitioner Program. He has been teaching meditation since 2006. He and his wife, Barbara McHugh, lead a twice-monthly sitting group at a church in Berkeley. Bill worked for ten years as a professional drummer and 20 years as a computer software developer. Talks given by Bill Coffin at Marin Sangha are available here. Talks given by Eve Decker at Marin Sangha are available here. Talks given by Mark Douglas at Marin Sangha are available here. Shahara Godfrey has followed the teachings of the Buddha since 1989, with her primary practices in Compassion and Social Activism. She has completed the Community Dharma Leadership Program and the Path of Engagement programs at Spirit Rock, and received her Ph.D. in Humanities with a focus on Transformative Learning and Change from the California Institute of Integral Studies. Shahara teaches mindfulness to adults and children in the Bay Area and also at the East Bay Meditation Center in Oakland, CA. A self-taught mixed-media artist, she has exhibited in the Bay Area, Oregon, Washington, Atlanta and Los Angeles. Talks given by Shahara Godfrey at Marin Sangha are available here. Talks given by Lesley Grant at Marin Sangha are available here. Talks given by Kevin Griffin at Marin Sangha are available here. Art Jolly took an introductory meditation course in the early 1990's and sat his first residential retreat in 1995. Since then, he's sat numerous retreats and participated in Spirit Rock's Dedicated Practitioners and Community Dharma Leaders Programs. In 2003 he spent five months as a monk in Burma. Talks given by Art Jolly at Marin Sangha are available here. Barbara McHugh has been meditating for more than 30 years. She has attended dozens of silent retreats and studied in Spirit Rock's Dedicated Practitioner Program. She has been teaching meditation since 2006. Barbara and her husband, Bill Coffin, lead a twice-monthly sitting group at a church in Berkeley. Barbara has a PhD in religion and literature. She also teaches the art and craft of writing fiction. Lisa Dale Miller is a private practice psychotherapist specializing in mindfulness psychotherapy and Somatic Experiencing therapy for the treatment of mood disorders, trauma, addiction, emotion dysregulation, chronic pain, and relationship distress. She is the author of a highly regarded textbook on Buddhist psychology for mental health professionals, Effortless Mindfulness: Genuine mental health through awakened presence. Lisa is also an outpatient clinician for the Veterans Administration San Jose and a teacher of Mindfulness-based Relapse Prevention (MBRP) for addiction, Mindfulness-Based Cognitive Therapy (MBCT) for depression relapse prevention, and Mindfulness-Based Stress Reduction (MBSR). Training clinicians in the practical application of Buddhist psychology is her greatest joy. She has been a yogic and Buddhist meditation practitioner for four decades. To learn more about Lisa Dale Miller, visit www.lisadalemiller.com. At the peak of his career, former CEO and Editor-in-chief of Esquire magazine, Phillip Moffitt, traded in his worldly aspirations to explore the inner life. He then founded the Life Balance Institute and now teaches vipassana meditation with an emphasis on living the dharma in daily life. Phillip is a co-guiding teacher at Spirit Rock Meditation Center and the author of Emotional Chaos to Clarity and Dancing with Life. Phillip's newest book is Awakening Through the Nine Bodies. Phillip is the founder of Marin Sangha. 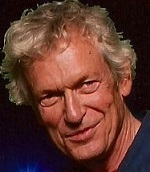 For more information about Phillip and his work, see DharmaWisdom.org and LifeBalanceInstitute.com. Talks given by Phillip Moffitt at Marin Sangha are available here. Dawn Neal began contemplative practice in 1997. She started practicing Insight Meditation and Soto Zen after being exposed to biofeedback in 2004. She is currently earning an MA from the Institute of Buddhist Studies and Sati Institute, and receives mentoring from Analayo Bhikkhu and Gil Fronsdal. Dawn temporarily ordained in Burma in 2009, and was authorized to teach loving-kindness by Sayadaw U Indaka. She teaches meditation, mindfulness, and loving-kindness in Buddhist, clinical, and educational settings. A volunteer in the Dharma community, Dawn has also served as a commissioned interfaith chaplain. 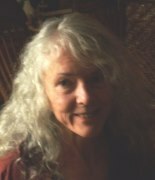 Talks given by Dawn Neal at Marin Sangha are available here. Talks given by Wes Nisker at Marin Sangha are available here. Talks given by Stephanie Noble at Marin Sangha are available here. 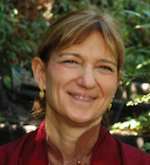 Lama Palden Drolma is the Resident Lama of Sukhasiddhi Foundation, based in San Rafael, California. She completed the traditional Tibetan Buddhist three-year retreat under Kalu Rinpoche's guidance in 1985. In 1986 she became one of the first Western women to be authorized as a lama in the Vajrayana tradition. In addition to Kalu Rinpoche, she has studied with many of the great Tibetan masters from all lineages. Lama Palden's personal website is www.LamaPalden.com. Since 1986, Lama Palden's teachings have translated Vajrayana Buddhist principles and practices in ways that make them accessible to Westerners. She has a deep interest in fostering psycho-spiritual awareness within daily life. Wendy Palmer is the founder of Leadership Embodiment, a process that uses principles from the non-violent Japanese martial art of Aikido and mindfulness to offer simple tools and practices to increase our capacity and respond to stress and pressure with greater confidence, inspiration and equanimity. Wendy has been practicing mindfulness for over 45 years and has been deeply touched by Chogyam Trungpa Rinpoche. She holds a sixth degree black belt in Aikido and is the author of three books, The Intuitive Body, The Practice of Freedom and Leadership Embodiment. Talks given by Wendy Palmer at Marin Sangha are available here. Talks given by Roy Remer at Marin Sangha are available here. Ayya Santacitta was born in Austria in 1958 and has practiced meditation for over 20 years. After graduating in hotel management, she studied cultural anthropology and worked in avant-garde dance theatre as a performer and costume designer.Her first teacher was Ajahn Buddhadasa, whom she met in 1988 and who sparked her interest in Buddhist monastic life. She has trained as a nun in both the East and West since 1993, primarily with the Siladhara Community at Amaravati Monastery under the guidance of Ajahn Sumedho. Since 2002, she has integrated Dzogchen teachings of the Vajrayana into her practice. Ayya Santacitta is co-founder of Aloka Vihara, a Theravada monastic residence for women in San Francisco, where she has lived since 2009. In 2011, she received bhikkhuni ordination with Ayya Tathaaloka Theri as preceptor. She offers teachings at the Vihara, as well as in the wider Bay Area and occasionally other parts of the US, sharing her experience in community as a means for cultivating the heart and opening the mind. Talks given by Ayya Santacitta at Marin Sangha are available here. Talks given by Richard Shankman at Marin Sangha are available here. Ayya Sobhana is the Vice Abbess of Dhammadharini, a community for monastic women located on the Sonoma Coast of California. Together with Ayya Tathaaloka Theri, Ayya Sobhana has been deeply involved in the recent restoration of Bhikkhuni full ordination in the Theravada tradition. She has meditated and trained with Bhante Henepola Gunaratana since 1989. She stayed at the Bhavana Society in West Virginia from 2003 to 2010. She ordained in 2003 and obtained full Bhikkhuni ordination in 2006. Her primary practice is the Eightfold Noble Path -- integration of meditation with ethical living and compassionate relationships for the sake of liberation. Talks given by Ayya Sobhana at Marin Sangha are available here. Heather Sundberg has taught insight meditation since 1999, has completed the Spirit Rock/IMS Teacher Training program. She is currently a member of the Spirit Rock Teacher's Council. Beginning her own meditation practice in her late teens, for the last 25+ years, Heather has studied with senior teachers in the Vipassana and Vajrayana traditions. She has completed 3 accumulated years of retreat, and has sat 1-3 months of retreat a year for the last 20+ years. She was the Spirit Rock Family & Teen Program Teacher & Manager for a decade. Between 2010- 2015 she spent a cumulative one-year in study, practice, and pilgrimage in Asia. Since 2011, she has been a Teacher at Mountain Stream Meditation Center and sister communities in the Sierra Foothills. She teaches retreats nationally & internationally, and her teaching emphasizes Awakening through the Body (1st foundation mindfulness), the Heart Practices (Divine Abodes), and Wisdom Awareness Practices (MahaSati) out of the Thai forest tradition. In addition, she has training in both Somatic Experiencing and Hakomi Mindfulness Somatic Therapy and offers 'individual meditation support sessions' to students world-wide. For more information about Heather, visit www.heathersundberg.com. Talks given by Heather Sundberg at Marin Sangha are available here. Venerable (Ayya) Tathaaloka Theri is an American-born member of the Buddhist Monastic Sangha with a background in Zen and Theravada Buddhism. Ayya Tathaaloka began her journey into monastic life nearly thirty years ago, and was fully ordained as a bhikkhuni by the Sri Lanka Sangha in Southern California in early 1997, with Ven. Havanpola Ratanasara as preceptor. 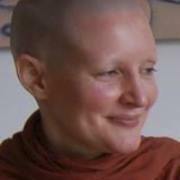 In 2005 she co-founded Dhammadharini "Women Upholding the Dhamma" and the first Theravadan Buddhist women's monastic community for bhikkhunis in the United States, here in Northern California. Inspired by Buddhist Forest traditions, in 2008, she went on to co-found Aranya Bodhi Awakening Forest Hermitage, a rustic off-grid women's monastic retreat on the Sonoma Coast. In 2009, Ayya Tathaaloka became the first Western woman to be appointed a Preceptor for bhikkhuni ordination in Theravadan Buddhism, serving in groundbreaking women's ordinations in both Australia and California. In 2016, her community realized a longterm dream, opening an accessible "permanent" new Dhammadharini Monastery at the western foot of Sonoma Mountain in Penngrove. Talks given by Ayya Tathaaloka at Marin Sangha are available here. From a London Anglo-Irish family in London, started Buddhist practice in the Burmese school in 1975. She was inspired to ordain after meeting Ajahn Chah and spent 12 years as a Buddhist nun where she was a founding member of Chithurst Monastery and Amaravati Buddhist Monastery. She was also co-initiator of events for children and families at Amaravati. Thanissara has facilitated meditation retreats internationally for the last 25 years and has an MA in Mindfulness-Based Psychotherapy Practice from Middlesex University & the Karuna Institute in the UK. She has written a book of poetry, Garden of the Midnight Rosary. Thanissara is co-facilitator of the Community Dharma Leader Program at Spirit Rock Meditation Centre CA, USA. You can read more about her work at www.dharmagiri.org. Talks given by Thanissara at Marin Sangha are available here. Jacques Verduin, MA Somatic Psych., is the Founder of the GRIP (Guiding Rage into Power) Program, a best-practices, comprehensive offender accountability program. He has a 20 year history as a subject matter expert on prison rehabilitation programming, a record of successful pioneering and sustaining programs, and has cultivated a sizable network of connections in the field. Currently Director of Insight-Out, Mr. Verduin founded the Insight Prison Project, which under his leadership produced the Victim Offender Education program. His efforts helped create the Prison Mindfulness Initiative, the Prison Yoga Project, the Insight Garden Project, Veterans Healing Veterans, among others. All of these organizations are actively replicating. In addition to California, he is a consultant to the US State Department, and he and his staff have travelled abroad to train professionals in Guatemala, El Salvador, Bosnia and the Netherlands. Talks given by Jacques Verduin at Marin Sangha are available here.